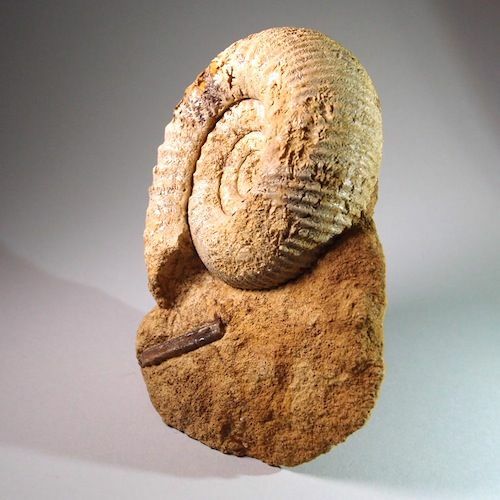 A Jurassic ammonite, still partly encased in the rock in which it was found. 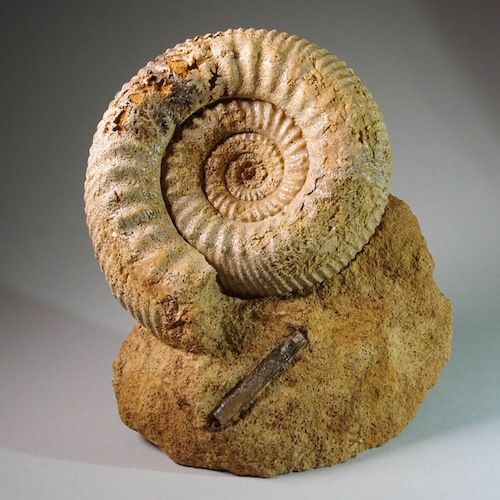 The ammonite has been skillfully prepared by a professional collector at Lyme Regis. 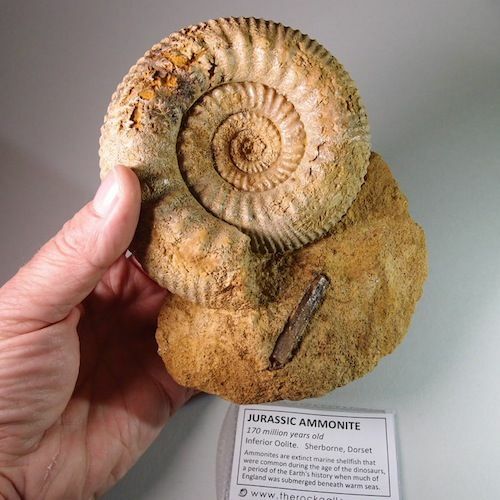 A belemnite is present just below the ammonite. 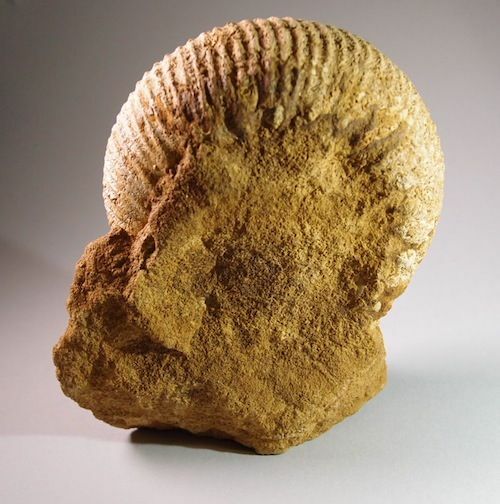 This fossil would make a nice addition to a living room or office. 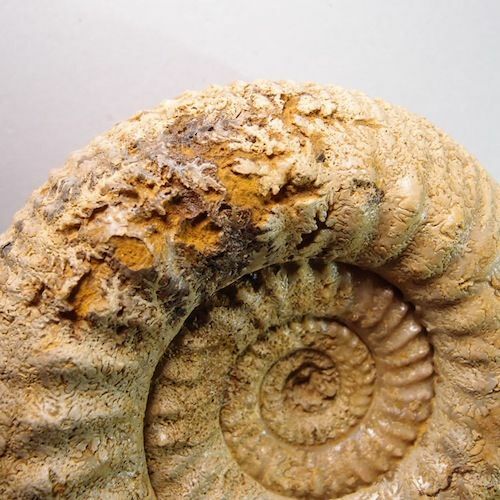 Part of the surface of the ammonite shows the suture lines which are the divisions between the chambers of the shell. ​​​​​​​It has a cut base so that it displays very well without the need for a stand.